No, it was not a “Who’s the Daddy?” show, as he typically does. Montel is trying a new thing: political shows on issues in the next two years before a new President is elected. The show airs Tuesday on your local “Montel” purveyor. Unfortunately, it was typical liberal, very unbalanced, biased TV. I felt like I was back on my old “Politically Incorrect” gig, where all the panelists, plus the host, plus the audience, were against me, the hated conservative punching bag. Clearly, that was my role on this daytime show. Producers told me they would bring on a liberal commentator to “balance” me out, but instead they brought in TWO, plus others. In this case, it was two former Clintonistas (two liberals who worked at the Clinton White House) including this guy, plus flaming liberal Montel, plus a liberal Yale medical professor, etc., etc., etc. And, oh yeah, the cosmetology student audience. With so many guests–who were all liberal–it was hard, even for me, to get a word in edgewise to respond to the barrage of absurd charges levelled against Bush, White America, conservative America, etc. 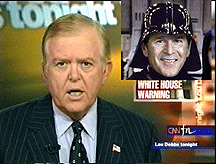 Lou Dobbs was on, too. In case you are fooled by his tough stances on illegal immigration, Islam, and the ports deal (with both of which I agree), Dobbs is a liberal on everything else. Don’t be fooled. He is a protege of Ted Turner. They are tight. And his positions on socialized medicine, NSA wire-taps, etc., made that clear. Remember, his forum is CNN, the Coran News Network. The best part of the show, on which I agreed with everyone, was the Dubai Ports deal. But since that has, thankfully, now been scuttled, perhaps that portion of the show will hit the cutting room floor. The first half of the show was spent blaming George Bush and the police for being “racists” about Katrina. That racism charge appeared to be projected on me for trying to defend him or any of the thousands of white donors and law enforcement personnel from around the country and Homeland Security who sent money or came to New Orleans and the Gulf to help people there. Because of one incident on a bridge that Montel was harping on, everyone is racist, apparently. And it’s hardly a fair debate when you have three Black liberals, including the host, versus one white chick conservative attempting to respond to these charges. Predictably, they all decried the NSA wire-tapping and I was the bete noir again. Montel’s demogoguery and drama queen act escalated. He claimed it was outrageous that people are complaining about the Bush war crimes trial in a New Jersey High School. But when I dared pipe up that what’s ridiculous is that schools are engaged in this politically-charged garbage while turning out a bunch of dummies because they are not teaching the basics, Montel turned on the acting job. “How dare you defame America’s high school students on my show,” I was lectured. No-one does that on my show. Well, I guess, I just did, actually. Montel declared that these were AP students, so for sure they were NOT dummies. Right. Montel would not let me get in a word edgewise in response. But the fact is that, every year, studies are done of these “genius” AP students when they are freshman at Harvard, Yale, and the other top universities. And they are clueless. They know who Bart Simpson is, but not a clue about the Bill of Rights, the Civil War, or other basic facts in government and history. But Guh-Reat! that they know that George Bush is a war criminal from a silly trial they had at an incompetent public school failing to do its real job. After this unduly indignant lecture, I didn’t dare interrupt when Montel started crying about paying for medical care, and he, Lou Dobbs, and the Yale professor communed on how we need to stop the war in Iraq and fund socialized medicine instead. Yeah, that would help America. Horrible doctors everywhere, like our friends in Canada and England. Great. The scary thing is that Montel has vowed two years of these liberal hour-long, nationwide campaign commercials for Hillary and the Democrats. Hopefully–and likely, people who watch this show don’t vote. Makes you long for the “Who’s the Daddy?” and psychic Sylvia Browne show days. 1. You have a lot of guts going into that den of morons. 2. I do not beleive that Montel Williams has convicned a single voter who was not already a Repbublican hater. 3. Lou Dobbs may be right on a couple of issues but he is a lefty through and through. 4. One of the reasons conservatives are such good debaters is that we are often outnumbered at these type of “events” and therefore need to frame our arguments better then the left does. There’s no reason to take anything that that crazy moonbat Williams has to say. He’s an admitted pot smoker which should automatically discredit anything he says. I like Lou Dobbs. I think he’s absolutely correct on trade and immigration issues, and speaks about them in a way that doesn’t alienate people in the same way that someone like Pat Buchanan does. I don’t care that he’s liberal on certain issues, he’s still one of my favorite television commentators. Montell Williams, on the hand, certainly is a demagogue. HIS VIEWS ON IMMIGRATION, ISLAM, AND THE PORTS DEAL ARE GREAT, BUT OTHER THAN THAT . . . . LOU AGREED WITH MONTEL THAT WE SHOULD HAVE SOCIALIZED MEDICINE, SUBSIDIZED PRESCRIPTIONS, AND USE THE MONEY ON THAT INSTEAD OF THE WAR IN IRAQ. SURELY, YOU DON’T AGREE WITH THESE THINGS? HE’S A LIBERAL WHO ACTS CONSERVATIVE, BUT REALLY ISN’T. HE IS A LIBERAL POPULIST WHILE BUCHANAN IS A CONSERVATIVE ONE WITH LESS AVUNCULAR APPEAL. IT’S SORTA LIKE TED TURNER DISGUISED AS YOUR NICE OLD UNCLE OR GRANDFATHER. Debbie:You got to get fake dentures that pop in so when you talk it’s all gums with one lone tooth flapping .That way you will fit right in . Yes, he is a liberal but I still like him because he talks about the issues that are being neglected in this country. Of course I don’t agree with his liberal views, especially on socialized medicine (I hate that idea even for a liberal idea), but I’m just being practical. Neo-cons don’t address the crucial issues he does. And I prefer Buchanan, but I like them both in spite of their flaws because of the things they address in a time when they need to be. Don’t worry Debbie, you’re still my favorite. I can’t even watch those crappy shows. How do you stand to be on one and take the lambasting? I admire your courage. I am amazed that sensible people (Conservatives) continue to appear on shows whose producers are skilled in the art of obfuscation. The end result is always the same-2,3,and sometimes 4 against one. Liberals never engage in debate. It is not their forte. They are much better at name calling, posturing, and condescention. It’s axiomatic. In the future, it would behoove any Conservative contemplating a media appearance to partner with a like minded individual for said event. My choice? I would like to see Debbie and Ted Nugent together on Montel’s set. Exciting and rational television. Lou and Montel wouldn’t stand a chance. Debbie said it perfectly that Lou Dobbs is a liberal who wants to act conservative. He’s a typical liberal hypocrite. Liberal as long as it’s not personally affecting him, conservative when it hits home. 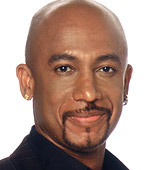 Montel may decide to edit himself off the show if he’s reminded of his performance as a Sharon ‘The Beaver Shot’ Stone celebrity boxing commentator. only qualified to carry Howard Cosell’s daughter’s purse(PS.-Happy Purim;Debbie). I think given Miss Sylvia’s performance during the crisis with the West Virginia miners, Montel might do better to distance himself from her. But regarding Montel, I don’t think he was going to engage you in honest debate and risk humiliation on his own show; rather, he armed himself with plenty of backup and made sure you never got a chance to respond adequately to any issue (Donahue was a whiz at this). I just caught the tail end of your appearance. As a former teacher, I agree we need to focus on the basics more. I also do not know enough about this incident in the New Jersey school to comment on the specifics. At the same time, I think that mock trials are an important part of the classroom and could certainly be used to teach kids about the basics of law and government in an engaging way. Just putting Bush on trial does not mean that the message is anti-Bush or anti-US…there is still a defense team. I agree it has the potential to be liberal brainwashing, but it is not defacto indoctrination or a waste of time. In my class I had the students debate whether or not America was an Empire (while we were studying imperialism) and I am a conservative. I gave them source materials with multiple perspectives and ensured that most legitimate viewpoints were represented. The lesson had students touch on all of the “basics,” too. Then it was up to the students to come to their own conclusions. I also think the word “dummies” was a bit inflamatory, even if I agree that we have been lowering our standards. just saw this show today. Usually at work at this time. They didnt even give you a chance to talk-ironically showcasing your patience and intelligence. I used to hear you on Howard Stern. Keep up the good work, we’re listening. I was appalled at the way Montel acted towards you today on the show. Absolutely disgusted with the comments he made and the way he threw around the word “respect”. He was down right disrespectful. I’m so sick of the race card being pulled out everywhere I turn. From Katrina relief efforts to everything else. I am from the deep South and I hear it everyday. Not to mention seeing it on t.v. too. I am also in the secondary public school system and I totally agree with the quality of students schools are turning out into society. It is not just the academic part. A majority of these kids don’t have any morals and values. However, I will say most of that starts at home. I was told once by a parent that schools were there to teach morals, values, academics, politics and everything else you needed to know about life…it was not her responsibility as a parent and if her child was at school 8 hours a day having to learn then her child wasnt going to come home and have to learn too. If that is what just a portion of society’s parents feel, its absolute ignorance…Cause the job isnt getting done. We need to stay focused on the absolute BASICS and leave the rest up to someone else…like the PARENTS! You handled yourself with grace on the show. Montel lost a fan today and you gained one! I saw that March 14 America Speaks Out Montel Show. Now I too am a Debbie fan and not a Montel Show fan. I was very disappointed that he even in my opinion appeared to attack Debbie on the student thing. Many students reportedly cannot read for themselves etc.–if I could not read for myself, I would have to accept whatever others such as those in TV media throw at me. I do wonder where opinions would fall on a subsequent Montel Show with these same guests on other issues of importance, such as child sexual abuse, One of the concerns I have about liberals is some far left liberals in my opinion through research I have done– champion lowering or abolishing the age of consent, little or no jail terms for predators, etc. and support even greater extremes that in my opinion favor perpetrators and predators vs. victims. Would there be more agreement on these issues amongst Montel Show chosen guests? And who and what positions would Montel support on these issues if there are stated differences? Montel appears to me to champion justice for the sexually abused child etc. so I am very curious how a show on this issue and political positions on it would turn out.